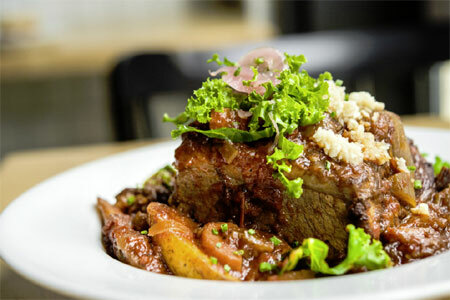 Country Boys serves generous and authentic Mexican at Red Hook Ball Fields. 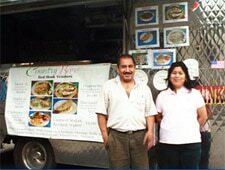 : There’s absolutely nothing pretentious about the Martinez family serving the terrific Mexican food at this Red Hook-based truck. Drawing from their days spent cooking in colonial Puebla, Mexico, the food is fresh, the varieties are extensive, and everything served is traditional. The combination plates are what most people order. Try the tacos (several choices) and quesadillas (plain cheese or shrimp and cheese), sprinkled with one of several sauces with varying degrees of heat. Another favorite is the overstuffed huarache, a folded corn dough wrapper filled with beans, meat, shredded lettuce and guacamole. The line can be crazy long and justifiably so. Country Boys has been serving hungry soccer players for almost 20 years. Too bad it’s only open on Saturday and Sunday.